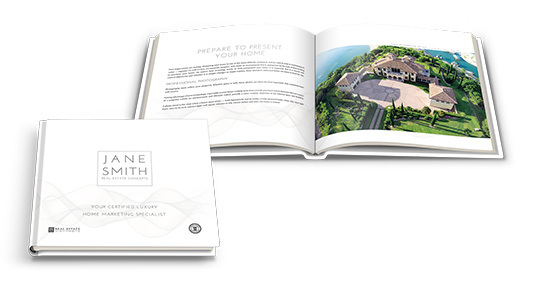 Impress potential home sellers with your pre-listing marketing book that has been customized for you. Discerning clients will instantly appreciate your commitment as the content reflects your professionalism, knowledge and experience, all in one sophisticated piece. • Include your marketing strategy – or add to our generic outline. Design time is charged at $79.00 per hour, 4 hours are pre-charged. If design fees are less than 4 hours, a credit will be issued. 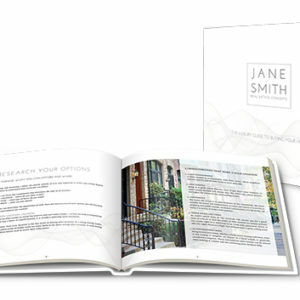 Customizable: with a digital template file, ready for you to add specific and current information that targets your listing presentation for each homeowner.